Scientists first began to experiment with chimeric antigen receptor (CAR) T cells in the late 1980’s, when a trio of researchers genetically engineered T cells to express an antibody recognizing a hapten and redirecting their specificity.1,2 The authors of this study were the first to suggest the use of chimeric T cell receptors in combating tumors. Years later, in 2011, Carl June and colleagues reported a case study where a chronic lymphoid leukemia (CLL) patient treated with autologous anti-CD19 CAR T cells (CART19) showed a complete response.3 This finding fueled the fire in immuno-oncology research, and CAR T cell immunotherapy has since brought new hope to many leukemia patients who are seemingly out of treatment options. Adoptive T cell immunotherapy has been at the forefront of the immunology research. As new articles are being published daily, describing new methods to design or develop CAR T cells and proposing new ways to improve their efficacy in the clinic, it's not an easy task to stay up to date in this fast-paced field of research. Here, we review our selection of key recent findings in CAR T cell research and discuss their implications for taking T cell therapy from bench to bedside. The following studies reveal that fine-tuning T cell signaling is beneficial for its persistence and antitumor activity. Salter et al. used phosphoproteomic analysis to compare CARs containing CD28 or 4-1BB costimulatory domains. Although the CD28 costimulatory domain resulted in more robust signaling, it led to increased T cell dysfunction and limited therapeutic potency. On the other hand, the 4-1BB costimulatory domain resulted in the preferential expression of memory T cell-associated genes, and improved antitumor activity. This study suggests that signaling strength should be taken into account when choosing costimulatory domains. Guedan et al. found that combining two costimulatory domains, namely the inducible T cell costimulator (ICOS) and 4-1BB, results in enhanced persistence and antitumor activity of the CAR T cells. Interestingly, these beneficial effects require that the ICOS domain be positioned proximal to the cell membrane. This study suggests that careful positioning of costimulatory domains in CARs can have significant effects on the therapeutic effects of CAR T cells. Cell Separation: RosetteSep™ Human CD4+ T Cell Enrichment Cocktail, RosetteSep™ Human CD8+ T Cell Enrichment Cocktail. The T cell receptor (TCR) complex contains 10 immunoreceptor tyrosine-based activation motifs (ITAMs), which are critical for the initiation of TCR signaling. In CARs, there are typically three ITAMs from a single CD3ζ chain. James demonstrated that increasing the number of ITAMs can increase the signaling potency of CARs. This suggests that researchers can alter the number of ITAMs in CARs in order to modulate the signaling strength of CAR T cells. 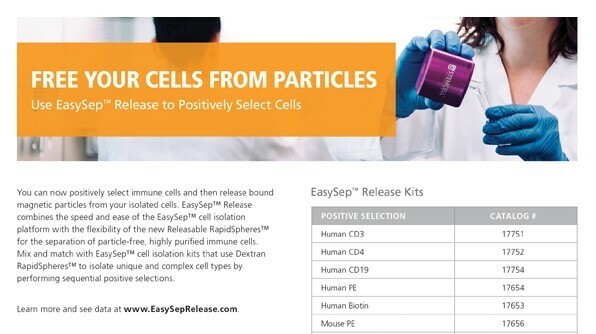 Cell Separation and Medium: EasySep™ Direct Human CD4+ T Cell Isolation Kit, ImmunoCult™-XF T Cell Expansion Medium. T cell signaling can be fine-tuned during ex vivo expansion. Peterson et al. found that using phosphatidylinositol 3-kinase δ (PI3Kδ) inhibitors and vasoactive intestinal peptide (VIP) antagonists during T cell expansion can increase fold expansion, in vivo persistence, and antitumor activity. This study suggests that modulating the PI3K and VIP pathways can improve CAR T cell expansion and function. Cell Separation and Cryopreservation Medium: CryoStor® CS10, EasySep™ Mouse T Cell Isolation Kit. Which method or combination of methods should be used to fine-tune CAR T cell signaling for optimal therapeutic benefits? With such diversity in patients, cancers, and preconditioning regimens, it will be difficult to determine exactly what a “finely-tuned” CAR T cell is. Nonetheless, CAR T cell manufacturers should be careful not to cause over-activation and unintentional terminal differentiation of T cells when designing and expanding CAR T cells. CAR T cells with a central memory phenotype tend to have increased in vivo persistence and therapeutic efficacy compared to those with effector phenotypes8. This finding has led to new research on ways to shift the phenotype of CAR T cells by altering their gene expression profile towards that of the ideal central memory T cell. Using insights from a chronic lymphocytic leukaemia patient receiving CAR T cell therapy, Fraietta et al. discovered that disruption of the tet methylcytosine dioxygenase 2 (TET2) gene can improve the efficacy of CAR T cells. TET2 promotes DNA demethylation and alters the epigenetic profile of T cells. TET2-disrupted CAR T cells display a more central memory phenotype. This finding suggests that studying patients currently receiving CAR T cell therapy can yield remarkable insights. These insights can be used to improve future CAR T cell therapies. Forkhead box O 1 (FoxO1) is a transcription factor that promotes the generation and maintenance of memory T cells. Moffet et al. developed and used mRNA nanocarriers to transiently overexpress FoxO1 in CAR T cells. FoxO1 overexpression induced a central memory phenotype, and improved the antitumor activity of CAR T cells. Since activation of the PI3K signaling pathway leads to the blockade of FoxO1 transcriptional activity, this study supports the recent finding by Peterson et al.7, summarized above, that the use of PI3Kδ inhibitor can improve CAR T cell expansion and function. Cell Separation and Medium: ImmunoCult™-XF T Cell Expansion Medium, EasySep™ Human CD8+ T Cell Isolation Kit. Which genes should CAR T cell manufacturers target to promote the ideal central memory T cell phenotype? Will there be undesirable effects of altering the expression of those genes? What is the best method for modifying those genes during the CAR T cell manufacturing workflow? Advancements in molecular biology have opened up exciting possibilities for future CAR T cell designs. In recent years, researchers have gone beyond the basic CAR designs to improve specificity and safety. For example, Roybal et al. engineered T cells with combinatorial antigen-sensing circuits using synthetic Notch receptors11. The following research studies suggest alternative or supplementary CAR T cell design techniques with the goal of improving specificity, safety, and efficacy. Cho et al. developed a split, universal, and programmable (SUPRA) CAR system, in which the intracellular signaling domain of the CAR is split from the soluble extracellular antigen-targeting scFv domain. In brief, upon infusion of the scFv component into the organism, the scFV and the intracellular components will bind together to form a complete functioning CAR system with a signaling domain and an antigen recognition motif. This allows the flexibility of switching CAR targets, and modulating activation strength without re-engineering the T cells. In addition, variations of this SUPRA CAR design can be used to sense and logically respond to multiple antigens. Overall, this new system allows for improved control and adaptability of the adoptively transferred CAR T cells. Tang et al. developed a way to attach cargos of proteins onto adoptively transferred T cells using protein nanogels. The nanogels respond to changes in cell surface redox activity, and only release their cargo upon T cell activation. As an example of potential application, these nanogels can be used to selectively deliver interleukin-15 super-agonist complexes to the site of CAR T cell activation, thereby supporting T cell expansion within tumor sites. Cell Separation: EasySep™ Mouse CD4+ T Cell Enrichment Kit, EasySep™ Mouse CD8+ T Cell Enrichment Kit, RosetteSep™ Human CD8+ T Cell Enrichment Cocktail. New design concepts such as these can be applied to improve therapeutic efficacy, but may also increase the complexity and cost of therapy. With the already exorbitant cost of T cell therapy, further research will determine how to translate the benefits of these novel approaches in a cost-effective manner. 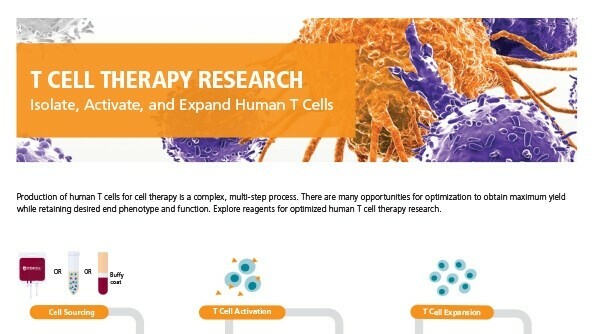 Ongoing research is providing new and better approaches for CAR T cell therapy, and cell therapy companies have increasing options for CAR T cell manufacturing. As discussed above, these options include modifications to intracellular signaling domains, cell expansion protocols, gene expression levels, CAR designs, and cell attachments. The possibility of combining those options provide numerous potential approaches for manufacturing the next generation of CAR T cell therapies. Which approaches will make it from bench to bedside? Gill S et al. (2016) Chimeric antigen receptor T cell therapy: 25 years in the making. Blood Rev 30 (3): 157-67. Gross G et al. (1989) Expression of immunoglobulin-T-cell receptor chimeric molecules as functional receptors with antibody-type specificity. Proc Natl Acad Sci U S A 86 (24): 10024-8. Porter DL et al. (2011) Chimeric antigen receptor-modified T cells in chronic lymphoid leukemia. N Engl J Med 365: 725-33. Salter AI et al. (2018) Phosphoproteomic analysis of chimeric antigen receptor signaling reveals kinetic and quantitative differences that affect cell function. Sci Signal 11(544). doi: 10.1126/scisignal.aat6753. Guedan S et al. (2018) Enhancing CAR T cell persistence through ICOS and 4-1BB costimulation. JCI Insight 3(1). doi: 10.1172/jci.insight.96976. James JR. (2018) Tuning ITAM multiplicity on T cell receptors can control potency and selectivity to ligand density. Sci Signal 11(531). 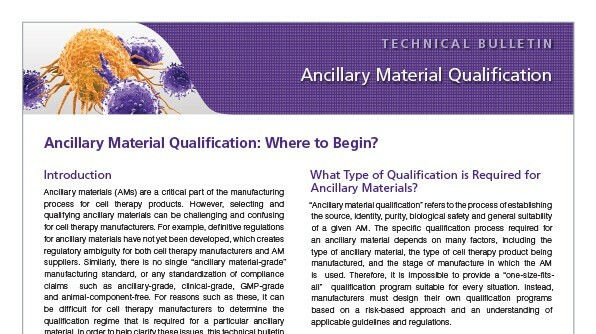 doi: 10.1126/scisignal.aan1088. Peterson CT et al. (2018) Improving T-cell expansion and function for adoptive T-cell therapy using ex vivo treatment with PI3Kδ inhibitors and VIP antagonists. Blood Adv 2(3): 210 - 223. Gattinoni L et al. (2011) A human memory T cell subset with stem cell-like properties. Nat Med 17(10): 1290 – 7. Fraietta JA et al. (2018) Disruption of TET2 promotes the therapeutic efficacy of CD19-targeted T cells. Nature 558(7709): 307 - 312. Moffett HF et al. (2017) Hit-and-run programming of therapeutic cytoreagents using mRNA nanocarriers. Nat Commun 8(1): 389. Roybal KT et al. (2016) Engineering T cells with customized therapeutic response programs using synthetic Notch receptors. Cell 167(2): 419 - 32. Cho JH et al. (2018) Universal Chimeric Antigen Receptors for Multiplexed and Logical Control of T Cell Responses. Cell 173(6): 1426 - 1438. Tang L et al. (2018) Enhancing T cell therapy through TCR-signaling-responsive nanoparticle drug delivery. Nat Biotechnol 36(8): 707 - 716. Prior to being used as therapy in the clinic, CAR T cells are developed and manufactured on the bench. Primary human T cells isolated from the patients are activated, expanded and genetically modified to express CARs recognizing the selected antigen ex vivo. Many factors are taken to consideration at this stage, including target selection and method of genetic modification. CARs are synthetic transmembrane receptors containing the extracellular scFv domain of an antibody, which confers antigen specificity, and intracellular components that typically include CD3ζ and co-stimulatory (ex. CD28, 4-1BB, OX-40) signaling domains to mimic T cell signalling (Figure 1).4,5 Upon antigen recognition, CAR T cells are activated and initiate their effector functions such as cytokine production and cytotoxicity, which ultimately result in the elimination of any cells expressing target antigen. As tumor antigens are typically also expressed on non-malignant cells, target selection poses a challenge in CAR T cell design. Adapted from the Production of CAR T Cell wallchart, produced by Nature Protocols and supported by STEMCELL Technologies. Researchers are now beginning to explore the use of CAR T cell therapy for solid tumors, including hepatocellular carcinoma (HCC, liver cancer).11,12 A large proportion of tumor-specific antigens are intracellular or secreted, and thus are largely considered “undruggable” by antibody therapy. On the basis that all secreted proteins are processed into peptides and presented on cell surface by MHC I, Liu et al. sought to develop CAR T cells targeting a secreted HCC-specific secreted antigen, alpha-fetoprotein (AFP). The result of their work is a CAR T cell targeting AFP peptide complexed with MHC I that can specifically lyse HCC cells while sparing others. Rather than specificity, few studies have suggested an alternative approach to broadly target multiple tumors at the same time. One particular research group developed CAR T cells expressing natural cytotoxic receptor 1 (NCR1), a receptor naturally expressed on natural killer (NK) cells that partly mediates recognition of a broad range of tumor cells, including carcinomas, neuroblastomas and leukemias. The precise identification of tumor-associated ligands that are recognized by NCR1 remains a challenge. Tal et al. have developed CAR T cells that express the extracellular domain of NCR1, resulting in genetically modified T cells that can recognize a diverse range of tumors. The challenge in target selection remains that such tumor-specific antigens are uncommon, and thus CAR T cell activation in bystander tissues can occur. As a result, researchers are exploring ways to increase the specificity of CAR T cells by using combinations of target antigens. Roybal et al. developed a dual receptor system, where antigen A is required to induce the expression of CAR, and antigen B is required for the activation of CAR T cells. As a result, these engineered T cells are activated only when both antigens are present in a localized environment. This novel system not only improves the precision of tumor targeting by CAR T cells, but also expands the potential for CAR T cell use with the more common tumor-associated antigens rather than tumor-specific antigens. Cancer immunotherapy for solid tumors generally aims to boost specific, local immune responses in the tumor microenvironment as described in the study above. Recently, an article published in Cell by the Engleman lab turned this concept upside down. Using organism-wide analysis and mass cytometry, Spitzer et al found that systemic immunity is in fact required for effective immunotherapy leading to tumor rejection. A subset of peripheral CD4+ T cells was particularly found to be the cell type responsible for the anti-tumor immunity in response to immunotherapy. Perhaps this unexpected observation will influence how scientists develop and evaluate CAR T cells in preclinical research, as the right balance between local and systemic immune responses may be required. Still, targeting malignant cells while sparing normal, healthy cells is key reducing long term side effects of CAR T cell therapy. T cells are redirected to a particular target by genetically modifying them to express CARs. Currently, the most common method to genetically modify T cells is using viral (ex. 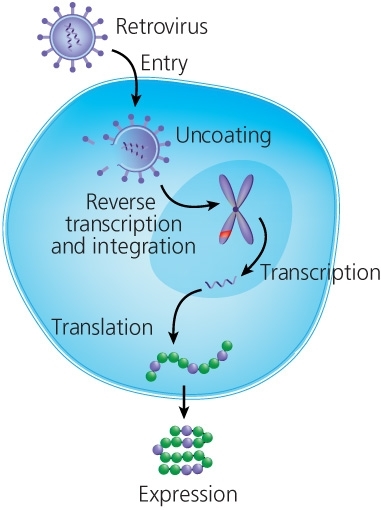 gammaretroviral or lentiviral) vectors that has been engineered to carry the CAR construct.16 In short, T cells are activated and then transduced with virus particles that release their cargo into the cell, leading to insertion of the CAR construct in the genome of transduced T cells (Figure 2). Li et al recently published a full protocol on gammaretroviral production and T cell transduction17 using T cells isolated with EasySep™. Although viral transduction remains the most efficient method of genetically engineering human T cells, there are viral-free methods that are currently being explored, including CRISPR/Cas9, TALENs and megaTAL nucleases.20,21,22 In this particular article, the Blazar lab showed that megaTAL and CRISPR/Cas9 can be used to disrupt endogenous T cell receptor in primary human T cells for the generation of CAR T cells. These methods need to be further optimized to be considered efficient alternatives for CAR T cell production. The production of CAR T cells conventionally involves complex and time-consuming ex vivo procedures. This study describes a method to quickly introduce leukaemia-targeting CAR genes directly into circulating host T cells. Smith et al. designed CD3-targeted nanoparticles that can be taken up by T cells and deliver DNA into their nuclei, resulting in the ability to genetically modify T cells in situ without having to manipulate them ex vivo. With further optimization and safety assessment, this technology may present an efficient and cost-effective method to generate anti-tumor CAR T cells. Cutting edge research on the bench continually proposes new and exciting concepts in CAR T cell design. Of particular interest is delivery: how to efficiently deliver T cells into tumors, and what engineered T cells can deliver to tumors in vivo. In this article, Stephan et al. described a method to improve the delivery of T cells to solid tumors in vivo using bioengineered polymer matrices. When implanted near solid tumors or at resection sites, biopolymer implants are capable of delivering and expanding tumor-specific T cells. This mode of delivery results in significant enhancement of tumor regression for inoperable tumors and prevention of relapse after surgery compared to conventional injections. A follow-up study published by the same lab in 2017 reported that this technology can be used to locally co-deliver stimulator of IFN genes (STING) agonists along with the adoptively transferred T cells25. 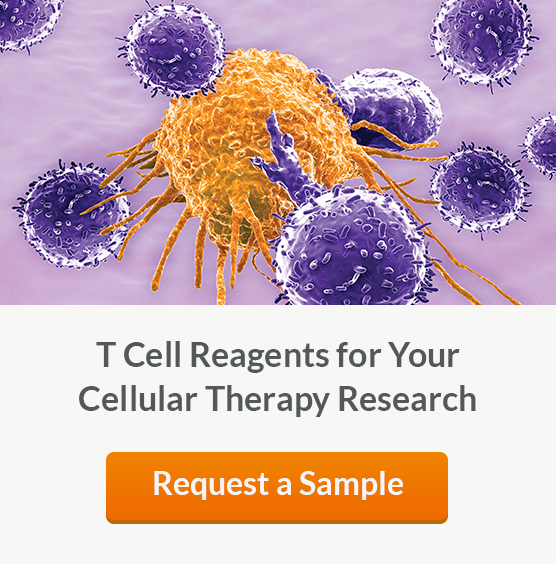 This co-delivery allows for the activation of immune responses against tumor cells that are not recognized by the adoptively transferred T cells. In this study, Roybal et al. used synthetic Notch receptors to engineer T cells that can deliver any therapeutic payloads in response to a given antigen in vivo. 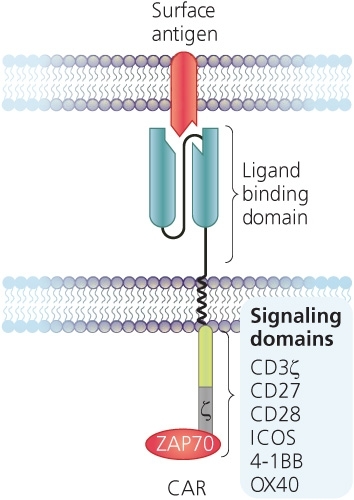 Upon ligand binding, the synthetic Notch receptor initiates a transcriptional program leading to the expression of a chosen factor such as secreted cytokines (ex. IL-12), cytotoxic agents (ex. TRAIL), adjuvants (ex. flagellin), transcription factors (ex. Tbet) and therapeutic antibodies (ex. anti-PD-1). This finding allows scientists to dictate the effector response of engineered T cells in vivo, which can be customized depending on the state of the patient. These new concepts can be applied to improve therapeutic efficacy, but some may also increase the cost of therapy. With the already exorbitant cost of T cell therapy, clinical trials will be needed to determine whether any benefits of translating these novel concepts from bench to bedside are significant enough. 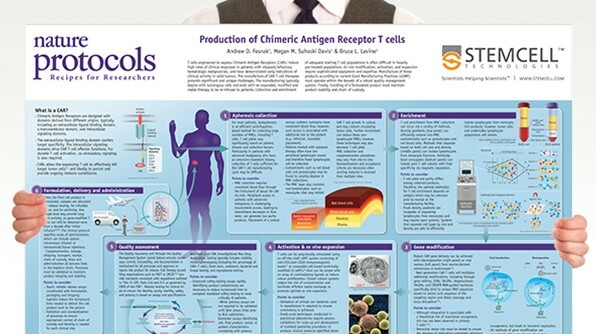 This free Nature Protocols Wallchart summarizes the processes involved in producing CAR T cells for therapy, including cell enrichment, activation and expansion. Our collaboration with GE Healthcare aims to develop cGMP-grade T cell isolation, activation and expansion reagents for commercial-scale cell therapy production. Srivastava S et al. (2015) Engineering CAR-T cells: design concepts. Trends Immunol 36(8):494-502. Fesnak AD et al. (2016) Engineered T cells: the promise and challenges of cancer immunotherapy. Nat Rev Cancer 16: 566-81. Kowolik CM et al. (2006) CD28 costimulation provided through a CD19-specific chimeric antigen receptor enhances in vivo persistence and antitumor efficacy of adoptively transferred T cells. Cancer Res 66(22): 10995-1004. Brentjens RJ et al. (2007) Genetically targeted T cells eradicate systemic acute lymphoblastic leukemia xenografts. Clin Cancer Res 13(18 Pt 1): 5426-35. Milone MC et al. (2009) Chimeric receptor containing CD137 signal transduction domains mediate enhanced survival of T cells and increased antileukemic efficacy in vivo. Mol Ther 17(8): 1453-64. Bonifant CL et al. (2016) CD123-engager T cells as a novel immunotherapeutic for acute myeloid leukemia. Mol Ther 24(9): 1615-26. Pizzitola I et al. (2014) Chimeric antigen receptors against CD33/CD123 antigens efficiently target primary acute myeloid leukemia cells in vivo. Leukemia 28(8): 1596-605. Liu H et al. (2017) Targeting alpha-fetoprotein(AFP)-MHC complex with CAR T-cell therapy for liver cancer. Clin Cancer Res 23(2): 478-88. Gao H et al. (2014) Development of T cells redirected to glypican-3 for the treatment of hepatocellular carcinoma. Clin Cancer Res 20(24): 6418-28. Tal Y et al. (2014) An NCR1-based chimeric receptor endows T-cells with multiple anti-tumor specificities. Oncotarget 5(21): 10949-58. Roybal KT et al. (2016). Precision tumor recognition by T cells with combinatorial antigen-sensing circuits. Cell 164(4): 770-9. Spitzer MH et al. (2017). Systemic immunity is required for effective cancer immunotherapy. Cell 168(3): 487-502. Dai H et al. (2016) Chimeric antigen receptors modified T-cells for cancer therapy. J Natl Cancer Inst 108(7). Li G et al. (2017) Gammaretroviral production and T cell transduction to genetically retarget primary T cells against cancer. Methods Mol Biol 1514: 111-118. Gogol-Döring A et al. (2016) Genome-wide profiling reveals remarkable parallels between insertion site selection properties of the MLV retrovirus and the piggyBac transposon in primary human CD4+ T cells. Mol Ther 24(3): 592-606. Osborn MJ et al. (2016) Evaluation of TCR gene editing achieved by TALENs, CRISPR/Cas9, and megaTAL nucleases. Mol Ther 24(3): 570-581. Hultquist JF et al. (2016) A Cas9 ribonucleoprotein platform for functional genetic studies of HIV-host interactions in primary human T cells. Cell Rep 17(5): 1438-51. Schumann K et al. (2015) Generation of knock-in primary human T cells using Cas9 ribonucleoproteins. Proc Natl Acad Sci U S A 112(33): 10437-42. Smith TT et al. (2017) In situ programming of leukaemia-specific T cells using synthetic DNA nanocarriers. Nat Nanotechnol 12(8): 813-20. Stephan SB et al. (2015) Biopolymer implants enhance the efficacy of adoptive T-cell therapy. Nat Biotechnol 33(1): 97-101. Smith TT et al. (2017) Biopolymers codelivering engineered T cells and STING agonists can eliminate heterogeneous tumors. J Clin Invest 127(6): 2176-91. Roybal KT et al. (2016) Engineering T cells with customized therapeutic response programs using synthetic Notch receptors. Cell 167(2): 419-32. Hsu FT et al. (2015) Enhancement of adoptive T cell transfer with single low dose pretreatment of doxorubicin or paclitaxel in mice. Oncotarget 6(42): 44134-50. Want W et al. (2016) Effector T cells abrogate stroma-mediated chemoresistance in ovarian cancer. Cell 165(5): 1092-105. Rupp LJ et al. (2017) CRISPR/Cas9-mediated PD-1 disruption enhances anti-tumor efficacy of human chimeric antigen receptor T cells. Sci Rep 7(1): 737. Lee Y et al. (2016) CD44+ Cells in Head and Neck Squamous Cell Carcinoma Suppress T-Cell-Mediated Immunity by Selective Constitutive and Inducible Expression of PD-L1. Clin Cancer Res 22(14): 3571-81. Ye J et al. (2014) TLR8 signaling enhances tumor immunity by preventing tumor-induced T-cell senescence. EMBO Mol Med 6(10): 1294-311. Jazirehi et al. (2014) Histone deacetylase inhibitor sensitizes apoptosis-resistant melanomas to cytotoxic human T lymphocytes through regulation of TRAIL/DR5 pathway. J Immunol 192(8): 3981-9. There is currently a significant number of existing cancer treatments available for “bedside" use in the clinics, each with its own strengths and weaknesses. Scientists are exploring whether combining T cell therapy with other forms of treatment may have beneficial effects for cancer patients. Here we discuss the potential of combining CAR T cell therapy with chemotherapy or with treatments designed to counteract immunosuppression in the tumor microenvironment. Hsu et al. showed that a single low dose of preconditioning with chemotherapy (doxorubicin or paclitaxel) can enhance the activation and longevity of adoptively transferred CD8+ T cells, leading to enhanced therapeutic efficacy. This preconditioning can also reduce the number of immunosuppressive regulatory T cells and myeloid derived suppressor cells in the tumor microenvironment. T cell therapy may also enhance the effectiveness of chemotherapy. Fibroblasts represent a major component of the tumor microenvironment, and can promote resistance to platinum-based chemotherapy drugs such as cisplatin. In this study, Wang et al. showed that effector T cells counteract the effect of fibroblasts on chemoresistance. As a result, T cell therapies may not only directly eliminate tumor cells, but also enhance their sensitivity to conventional chemotherapeutic agents. The tumor environment exhibit conditions and factors that favour immunosuppression as opposed to immune function. This presents a tough environment for infiltrating tumor-specific immune cells, rendering them incapable of sustaining effective anti-tumor responses. Multiple studies suggest that reducing immunosuppressive factors or reversing inhibitory signaling pathways can increase the effectiveness of CAR T cell therapy in patients. PD-1 is an inhibitory T cell co-receptor that becomes up-regulated in exhausted and hypo-functional tumor-infiltrating T cells. PD-1 blockade has been shown to reduce immunosuppressive factors in tumor microenvironments and enhance T cell responses.30 Since PD-1 expression can impair the function of CAR T cells, Rupp et al. developed a method to disrupt the expression of PD-1 on CAR T cells using CRISPR/Cas9-mediated genome editing. These PD-1 deficient CAR T cells exhibit superior anti-tumor efficacy by lowering cell-intrinsic immunosuppressive signals. Tumors can produce cyclic adenosine monophosphate (cAMP) to induce T cell senescence. In this study, Ye et al showed that the administration of TLR8 ligands to activate TLR8 signalling in tumor cells can block the induction of and reverse T cell senescence, thereby enhancing anti-tumor effects. CD8+ T cells use TNF-related apoptosis-inducing ligand (TRAIL) to induce apoptosis of tumor cells. TRAIL recognize death receptors such as DR5 on target cells, but some tumors have down-regulated DR5 expression, resulting in reduced sensitivity to cytotoxic T cell killing. In this study, Jazirehi et al discovered that the administration of histone deacetylase inhibitor SAHA upregulates DR5 expression and increases the expression of pro-apoptotic molecules in apoptosis-resistant melanomas. Research describing combinatorial effects of CAR T cell therapy with other forms of treatments will present options for personalized approaches of T cell therapy catered to specific patient needs. Combinatorial therapy may additionally permit the use of lower doses of T cells to achieve the required effectiveness, which may help to reduce potential side effects. CAR T cell immunotherapy has brought a tremendous excitement in the world of research. Scientists are eager to seize the opportunity to accomplish what they had set out to do by doing research: make a difference in the lives of patients. Hundreds of research groups are in a race to see who can make it from bench to bedside first. Despite the competitive nature of the immunotherapy field, collaborations are quickly forming with the hope to make T cell therapy more accessible, much like our collaboration with GE Healthcare.